4" bowl perfect for your Tahkli spindle or other supported spindle. 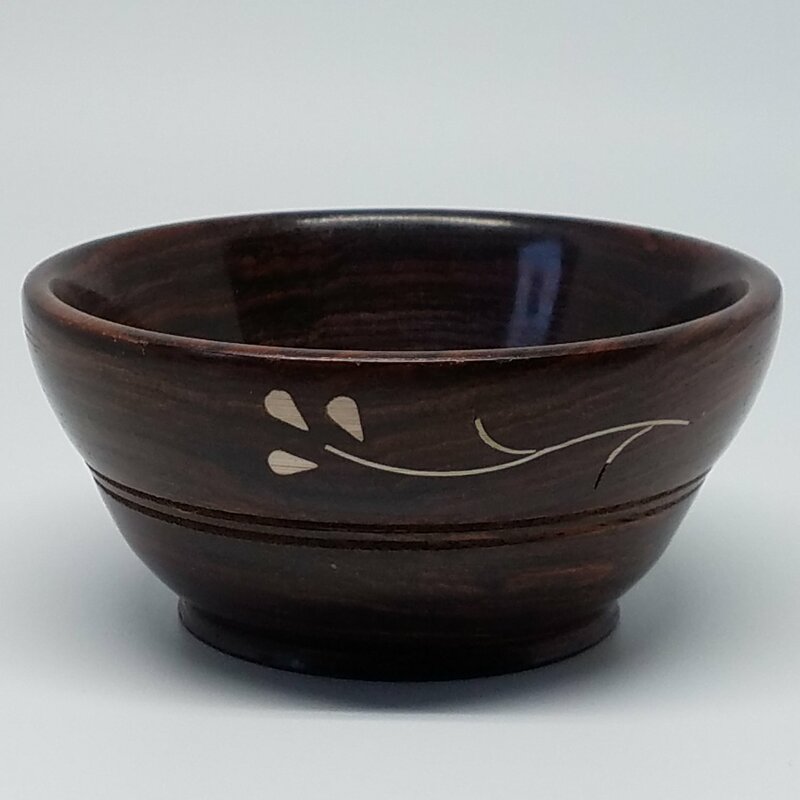 Bowl hand-crafted from Sheesham wood with pale inlay. This would also make a great little key or trinket bowl.